Mary and I thoroughly enjoyed the screen porch kit we put up on our deck years ago when we lived in New Hampshire. Our portable screen room was kind of like a room addition for our family. We enjoyed many meals out there, mornings with the newspaper and evenings with friends. 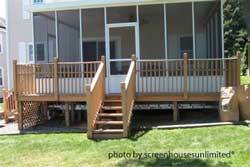 The right do-it-yourself (DIY) screen porch kit makes it easy to create a screen porch enclosure on your porch, deck or patio. If you are like the two of us, you will truly enjoy your outdoor living area. 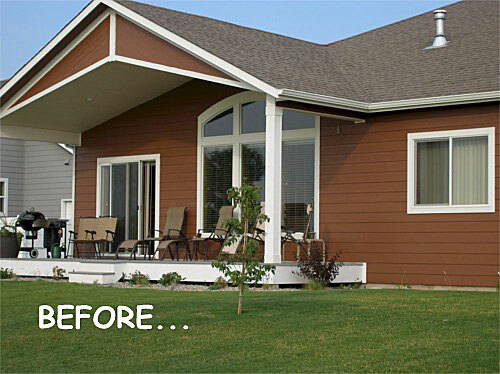 For some, an enclosed porch, deck, or patio adds an additional room to your home without the expensive cost of an actual room addition. 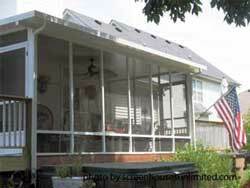 A DIY screened porch kit is normally easy to install; in fact, many can be assembled in a day. 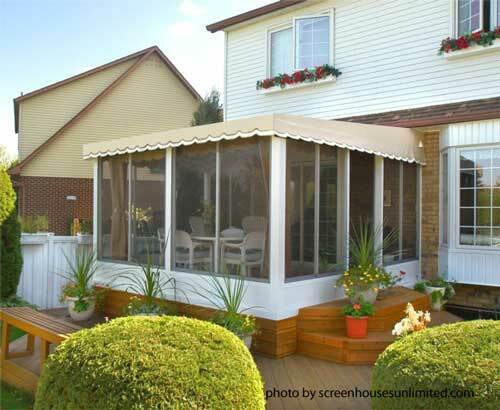 Do you already have a porch, deck, or patio cover? Then choose a screen wall kit to enclose your area and convert it to a screened room or even three-season room. 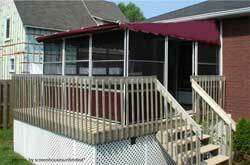 Need a more permanent roof over your deck or patio? 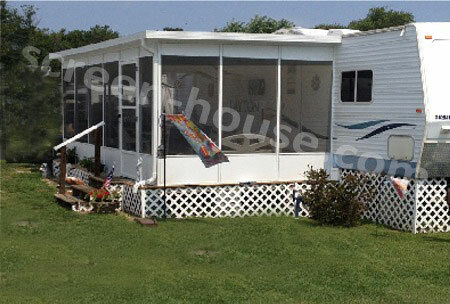 Select a hardtop enclosure or screened room kit. 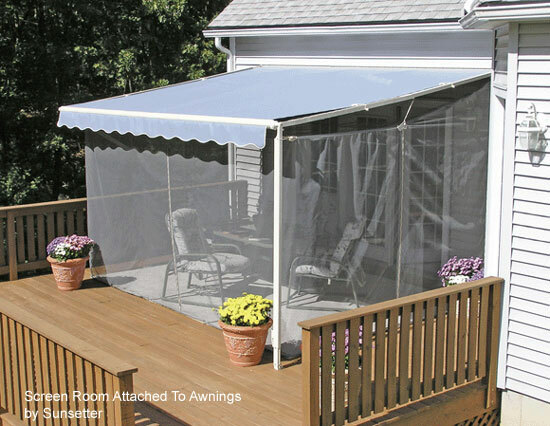 No matter your specific situation, there's a screened porch kit that's ideal for you. Some are seasonal screen kits while others are more permanent. 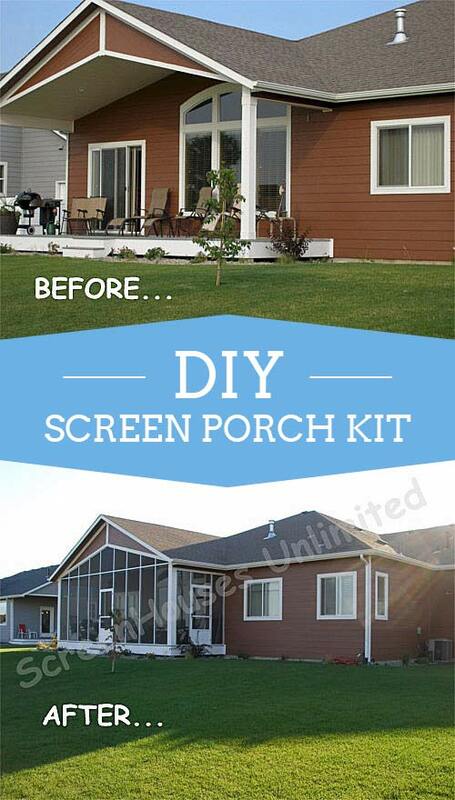 DIY Screen Porch "Walls Only Kits"
Already have a roof over your deck or patio? Then we recommend you consider a "walls only kit" that contains extruded aluminum framing and screening that will fit between your existing supporting columns. Walls Only Kits make it extremely easy to convert your space into an outdoor living area free from bugs and by adding outdoor curtains or blinds, you could protect yourself from the wind and sun too. Adds aesthetic value to your home too! 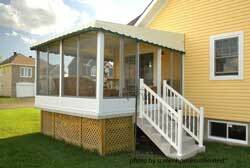 A screen porch kit like this could be a great alternative to making your own screen panels or using screen panel products to build a screen porch on your existing porch or covered patio. I am a do-it-yourselfer at heart and enjoy building; however, a kit would be my first choice in lieu of making my own screen panels. and adds a bit of privacy too! 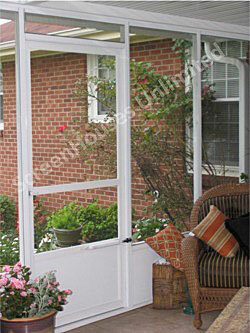 Most kits use extruded aluminum frames along with screening that can stay up year round. Extruded aluminum is extremely durable, lightweight, and won't rot or warp making it an excellent material for screen porch construction. Most screen kits come with screen doors and hardware - everything you need to create your outdoor living space. 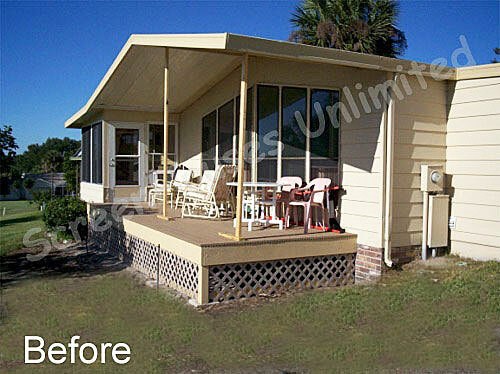 A patio or deck can easily be converted to a porch by just installing a roof. Choose between a seasonal or more permanent roof depending on your needs. 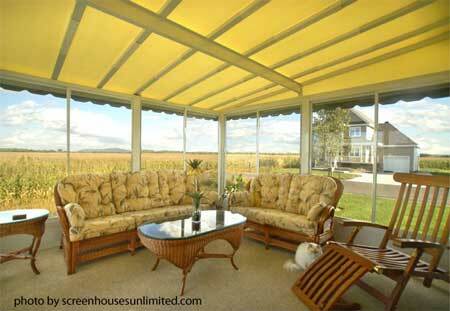 We love porches and many folks like to have a covered area to enjoy. 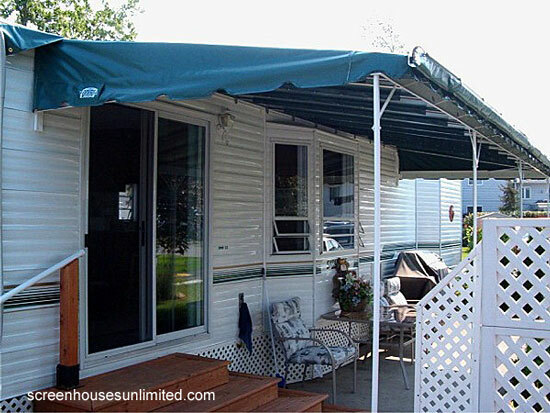 We recommend using insulated patio cover systems that are engineered to meet your local building code requirements for load bearing surfaces. Before ordering any such product, check with your local building codes department to determine the minimum requirements for your area. Then relay that information to the company from which you are ordering. The right panels can be both functional and aesthetically pleasing. You can also select among a wide variety of fabric patio and deck covers as well; perfect for mobile or manufactured homes too. A DIY patio awning may be just the product you've been looking for! 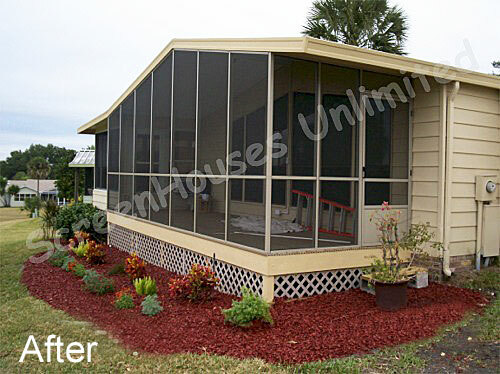 Three sided screen enclosures attach directly to your house for seasonal three-season comfort. Easy to install and remove during harsh winters, this economical solution works well on almost any home and mobile or manufactured home. Ideal for enclosing a portion of your deck or patio, leaving you the option of enjoying bug-free dining or star-gazing on a summer night. 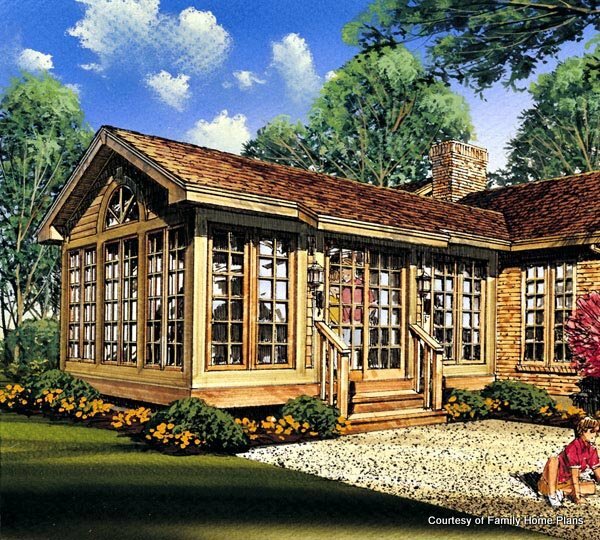 Whether you build it yourself or hire a contractor or handyman / gal to assist, check out these screen room plans. There are several to choose from and I like them because you can easily modify them to fit your specific needs. Hard-tops are built to remain installed year round and can be used on almost any deck or patio. The roof panels come in different thicknesses to meet load bearing requirements and the extruded aluminum framing comes in a variety of colors. Once you have your new screen room, you can add other comfort amenities like porch curtains or blinds and, of course, comfortable furniture to maximize your outdoor time! 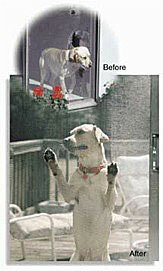 You also can select screening material to meet your specific needs, especially if you have pets or no-see-ums. Sunscreen can remove up to 70% of the sun's heat and UV rays and eliminate glare. It can also stop tiny insects and comes in three colors. 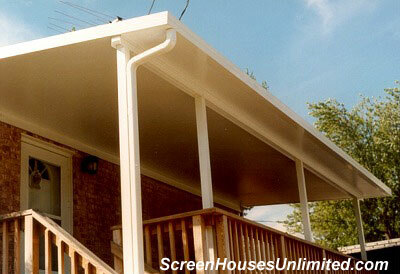 The products we found at Screen Houses Unlimited may give you options you may not have previously considered. 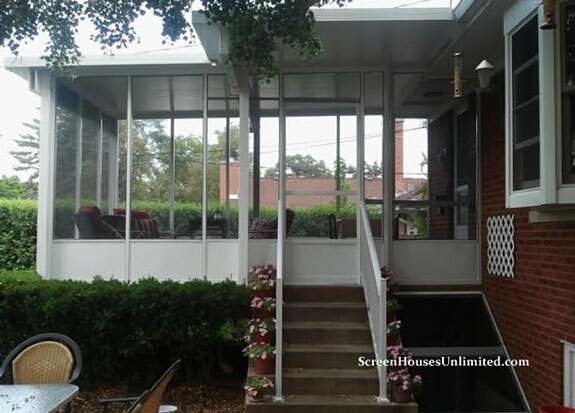 Screen Houses Unlimited specializes in do-it-yourself home improvement kits and are leaders in screened enclosures, sheds, awnings and garage shelter kits. They have a wide selection of enclosure products representing major manufacturers throughout North America. We appreciate the pictures they shared with us here. Visit their website to see if their products are a good solution for your project. 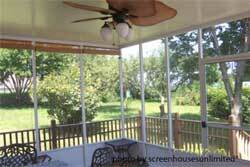 Take a moment to review screen porch kit considerations to ensure you select the right one. 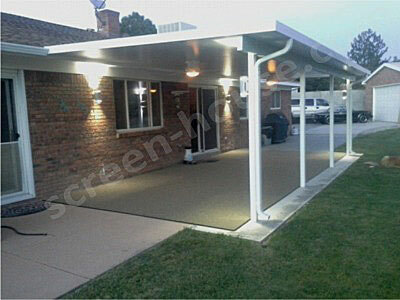 We've only highlighted a few of the many products to either screen in or cover your porch, deck or patio. You may also be interested in installing a free standing screen structure or installing a gazebo or pergola. 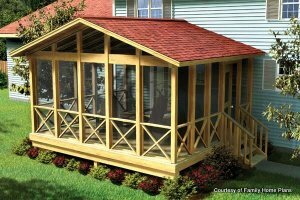 Please remember these are do-it-yourself screen porch kits. 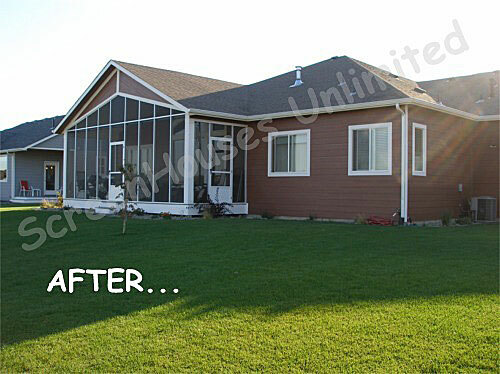 However, you could hire a local contractor on your own to install the screen kits if you need installation assistance. You can Find a Contractor in Your Local Area using our handy form - if you are in need of help.